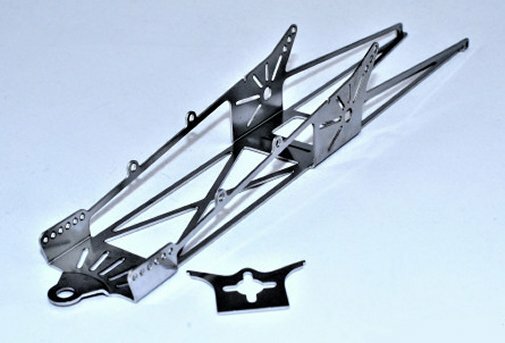 Very versatile inline drag chassis will fit a variety of bodies. Easy to assemble, just add your favorite motor (Gr. 12 or less recommended), 1 3/16" tall drag tires, 3/32" oilites/bushing or ball bearings, drag body and accessories and your ready to go drag racing!